Congress president Rahul Gandhi and the Bharatiya Janata Party (BJP) on Thursday sparred over jobs data on Twitter after Business Standard reported that unemployment rate rose to a 45-year high during 2017-2018. Calling it a "national disaster", Gandhi attacked Modi, saying he had promised two crore jobs, but five years later a "leaked job creation report card". Time for NoMo2Go," he tweeted with the hashtag 'HowsTheJobs'. 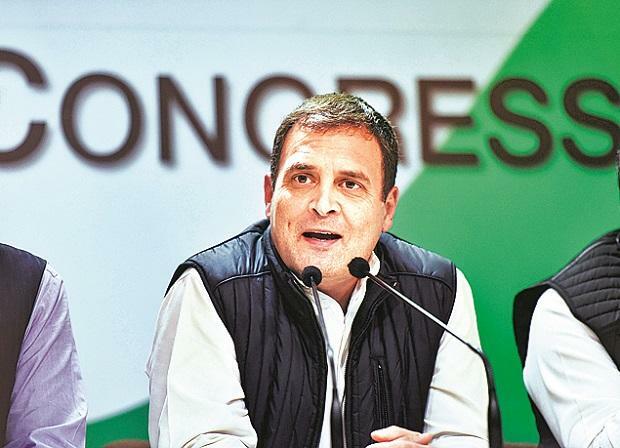 Hitting back at Rahul Gandhi after he attacked the government over employment generation, the BJP Thursday alleged that the Congress president has a myopic understanding of issues and said only someone who has never held a proper job "can peddle such fake news". The BJP tweeted that Gandhi had inherited shortsightedness of Mussolini, the Italian dictator. Gandhi tagged Business Standard's article published on Thursday, which cited the report saying unemployment rate in the country is highest in 45 years. According to the report, the unemployment rate in the country stood at a 45-year-high of 6.1 per cent in 2017-18, according to the National Sample Survey Office's (NSSO's) periodic labour force survey (PLFS). The report, which has not been made public yet, the unemployment rate was at its highest level since 1972-73 – a period from when the jobs data is comparable.